Percutaneous Venous Sclerotherapy is a procedure to treat symptomatic venous malformations ("hemangioma") when they occur below the skin or in the muscle. It is a commonly performed procedure by the interventional radiology physicians at Virginia Hospital Center. The technique involves using small needles to inject a "sclerosing agent" into the abnormal veins. The agent causes a small amount of local irritation causing the vein to close ("sclerose"). This is usually done using ultrasound to identify the abnormal veins. By repeating the treatment over a few months, most of the abnormal vessels will close and the patient's symptoms are relieved. Isolated Limb Infusion (ILI) is a technique where medications are infused directly into an arm or leg containing a tumor. The performing physician inserts small cannulas into arteries and veins of the extremity, then "isolates" it by applying a tourniquet. This allows delivery of very high concentrations of chemotherapy agents that kill tumor cells, while protecting the rest of the body from the toxic effects of the medication. 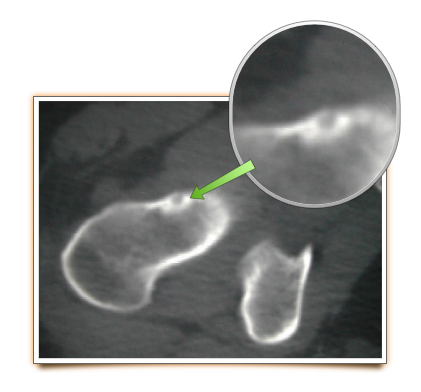 This technique is useful is situations when radiation therapy is not an option due to previous radiation or other reasons. This treatment is performed in conjunction with our colleagues at Mercy Medical Center. While all tumors need a blood supply to grow, some types of tumors have a propensity to create a very dense and active blood supply. Giant cell tumors, metastatic renal cell (kidney) and thyroid cancers, in particular, have abundant blood supply. When these tumors are located in the spine or pelvis, the patient will often undergo “embolization” of the tumor before surgery. This significantly reduces the amount of blood loss at the time of surgery. This procedure is performed by an interventional radiologist, i.e. a radiologist specially trained in performing invasive radiologic procedures. A small catheter is inserted into a large nearby artery, usually in the groin, and threaded carefully to the toward the tumor under x-ray guidance. Once there, the radiologist fills the vessel with tiny plastic beads which cut off the blood supply to the tumor. The procedure can be done on an outpatient basis but, since it is typically done the day before surgery, the patient stays in the hospital overnight. Below is an example of preoperative embolization for a large, metastatic renal cell (kidney) tumor in the pelvis, note how effectively the ample blood supply to the tumor is reduced. Radiofrequency ablation is the use of heat to kill tumor cells. The technique is best suited for small soft tissue and bone tumors for which the goal does not need to be complete eradication of the tumor. It is often used for small, painful metastatic bone tumors and for small or intermediate sized soft tissue tumors which are difficult or impossible to surgically remove. The procedure is usually performed on an outpatient basis by an interventional radiologist. 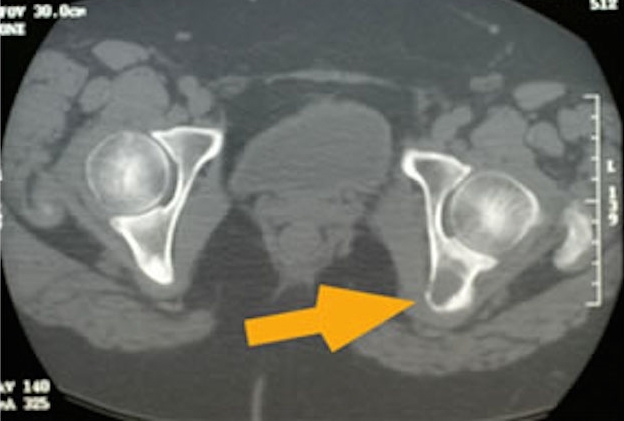 The patient is placed in a CT scanner in order to precisely identify the location of the tumor. A radiofrequency probe is then inserted into the tumor and electrical energy delivered to the tip. This causes the surrounding tissues to heat up. Once the desired temperature has been achieved, the current is turned off. If necessary, the probe is then repositioned to another part of the tumor and treatment continued. Radio frequency ablation is an ideal treatment for osteoid osteoma, a small, painful benign bone tumor. These tumors have a typical appearance on x-ray and and usually respond very well to radiofrequency ablation.